National Park Borough Hall is located at 7 South Grove Avenue, National Park, NJ 08063; phone: 856-845-3891. Photo: James Whitall, Jr. House, ca. 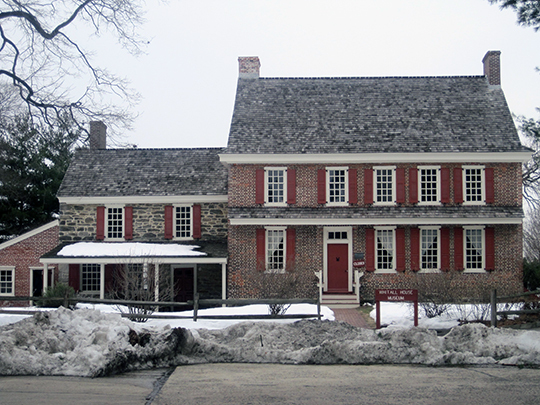 1766, 100 Grove Avenue, National Park, NJ. Listed on the National Register of Historic Places in 1973. Photographed by User:Ton2cats (own work), 2010, [cc-by-3.0 (creativecommons.org/licenses/by/3.0)], via Wikimedia Commons, accessed January, 2014. National Park Borough, bordering the Delaware River, was formed in 1902 from part of West Deptford Township. Prior to its incorporation the area was known for its Methodist Episcopal religious resort, National Park on the Delaware.